Creating the best mobile multiplayer gaming experience for everyone around the world. Create incredible games that everyone can play. Our games are completely accessible to the visually impaired community. Available on iOS, Android and Amazon devices. Voted Game of the Year for 2014 & 2015 by Applevis.com! Yatzy - Classic game enjoyed by everyone! Farkle - Fun game of risk and reward! 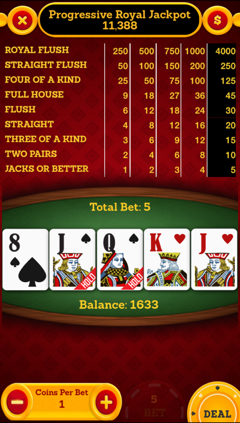 Threes - Strategy game where lowest score wins! 1-4-24 - Get a 1 and 4, and Score! Pig - Simple and fast. You will love to hate this pig! 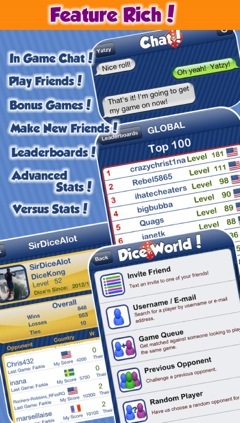 You can play Dice World with anyone, anytime, anywhere around the world! 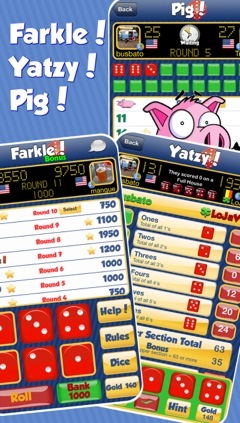 For those who just want to play Farkle, we now have it available in it's own game! 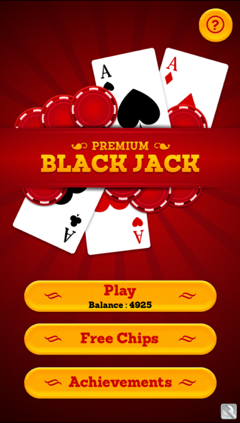 Play Farkle against friends, family, or anyone around the world! 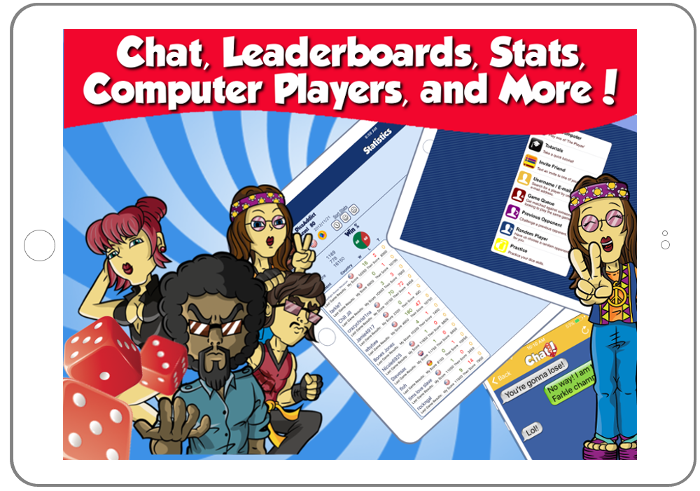 If you ever want to try the other games available in Dice World, you can simply log into that game with the same user, and all of your existing Farkle games will be there as well! As with all of our games, it is 100% accessible to the visually impaired! 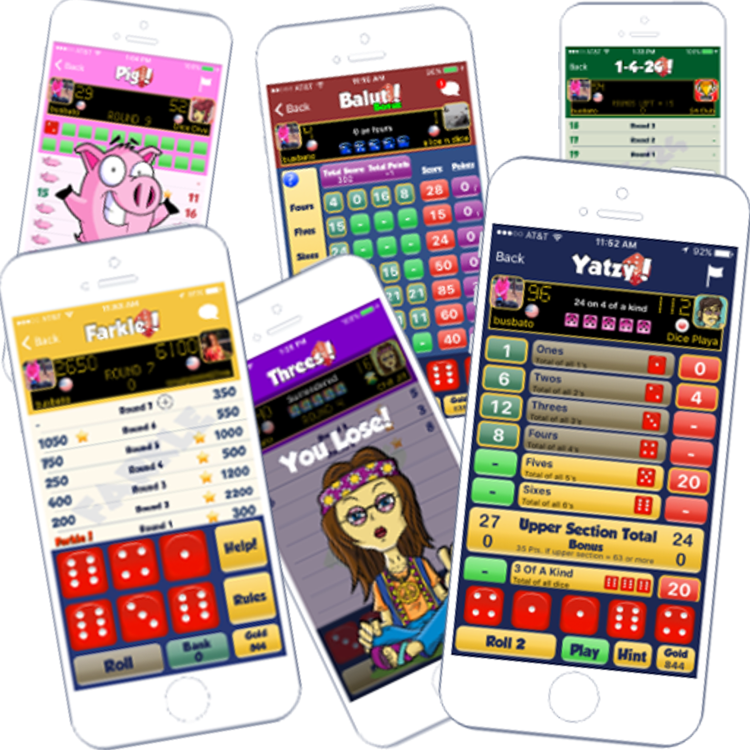 For those who just want to play Yatzy, we now have it available in it's own game! 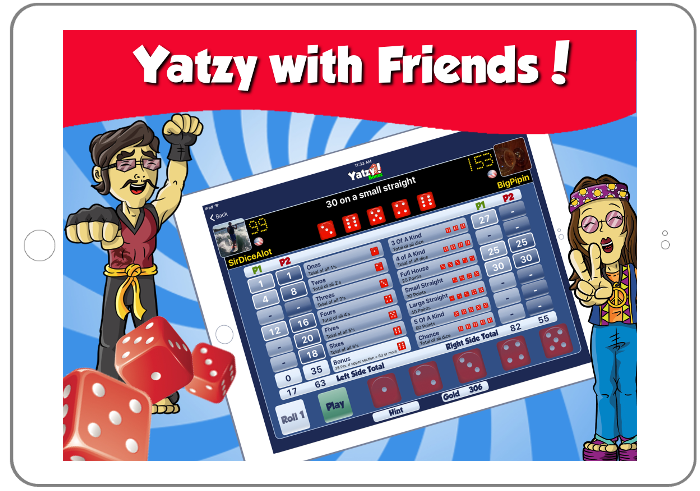 Play Yatzy against friends, family, or anyone around the world! 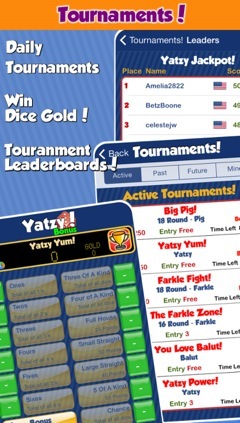 If you ever want to try the other games available in Dice World, you can simply log into that game with the same user, and all of your existing Yatzy games will be there as well! Progressive Jackpot! Increases with every bet made by every player around the world! Free Coins! - Free coins are always available! No more waiting! Multiple betting options. Bet as much or as little as you wish! 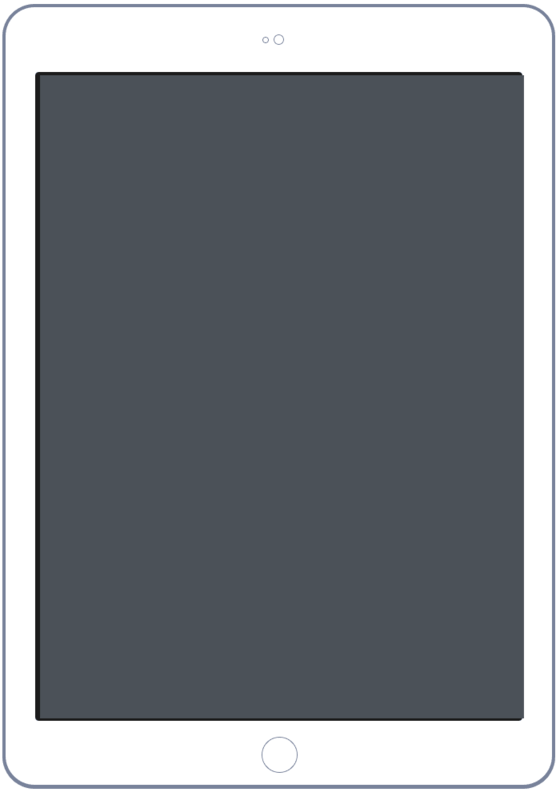 Optional Auto Hold! Allows for super fast play! Awarded 2014 Game of the Year! Awarded 2015 Game of the Year! Please contact us with any concerns or suggestions. We respond to every email! We are creating games that allow the entire world to play together. Come play with us! 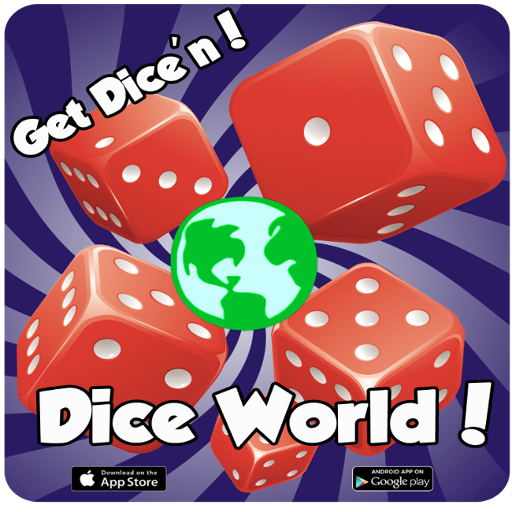 Get Dice World! © 2016 - Pangia Games, Inc.